This is a special guest post from Dr Abbey Potter, Senior Scientific Officer, Environmental Health Hazards, WA Health. I’m currently mentoring Abbey as part of The Public Health Advocacy Institute of WA (PHAIWA) Mentoring Program. Its been a great experience as we navigate through some of the strategies to raise awareness of mosquito-borne disease and advocate for better approaches to addressing the public health risks associated with mosquitoes. Living in WA, we’re all too familiar with the pesky mosquito. We know they bite but what we often don’t consider is that they can transmit serious and sometimes deadly diseases. In fact, a recent survey of locals indicated that knowledge of mosquito-borne disease is pretty limited, particularly among younger adults aged 18-34 years and those living in the Perth Metro. It’s pretty important we’re aware of the risks posed by these pint-sized blood suckers and how you can avoid them… and here’s why! On average, more than 1,000 people will be infected with a mosquito-borne disease in WA every year. Our mossies can transmit Ross River virus, Barmah Forest virus, West Nile virus (Kunjin substrain) and Murray Valley encephalitis virus. All four cause diseases that are debilitating at best, causing weeks to months of symptoms. Murray Valley encephalitis is limited to the north of the State but is so serious it can result in seizures, coma, brain damage and even death. Forget the bush, most people bitten in their own backyard. West Aussies are all very prone to getting eaten alive while socialising outdoors but if you’re up in the north of the State, you’ve also got a much higher likelihood of being bitten while boating, camping or fishing or working outside, compared to the rest of the state. And don’t think you’re off the hook when you head off on holidays. A further 500 WA residents return from overseas travel with an exotic mosquito-borne disease every year. Heading to Bali? Beware of dengue, especially young adult males who return home with the illness more than others. There is limited mosquito management in many overseas countries where disease-transmitting mozzies can bite aggressively both indoors and throughout the day. This catches West Aussies off guard, as we are accustomed to mozzies biting outdoors, around dusk and dawn. When you’re in holiday mode it’s likely that you’ll be relaxing, having a couple of drinks and not thinking about applying repellent. Oddly enough, mosquitoes may actually be more attracted to people whose body temperature is higher. This happens naturally when you consume alcohol, so best pull out the repellent before you crack your first beer. Despite our attractiveness to mosquitoes, we aren’t really aware of the most effective ways to avoid bites or how we can do our bit to reduce breeding in our own backyards. If you live by the mantra Cover Up. Repel. Clean Up you’ll have no problems! Western Australia has some amazingly beautiful wetlands but these saltmarshes around Mandurah can produce large populations of nuisance-biting mosquitoes! If you know you are going to be outdoors when mosquitoes are active, wear loose, long-fitting clothing that is light in colour. Believe it or not, mosquitoes can bite through tight pants as tough as jeans – I’ve witnessed it! If you’re staying in accommodation that isn’t mosquito-proof, consider bed netting. Try to keep children indoors when mosquitoes are most active. If exposure can’t be avoided, dress them appropriately and cover their feet with socks and shoes. Pram netting can also be really useful. Admittedly, it’s not always practical to wear long sleeves during our warm summer nights, so there are going to be times when you need to use repellent. Choose a product that actually works and apply it appropriately so it does the job. Despite our best intentions, this is where we often go wrong. There are a few basic things to cover here, so stick with it! Ingredient: Science tells us that the best active ingredient for repelling mosquitoes is diethyltoluamide (DEET for short) or picaridin. You need to look for either one of these names on the repellent label under the ‘active constituents’ section. Unfortunately, natural repellents and anything wearable (e.g. bands, bracelets or patches) have very limited efficacy. Experts don’t recommend you use them and I consider this very wise advice. It only takes a single mosquito bite to become infected and chances are you will receive at least one if you rely solely on a product of this nature. It just isn’t worth the risk. Percentage: The next thing to consider is the percentage of the active ingredient. This can range anywhere from 7% to 80% which can make choosing a repellent confusing. Just remember, the higher the percentage, the LONGER the product will remain active for. It doesn’t mean it will repel mosquitoes better. A repellent containing 16-20% DEET will provide around 4-6 hours of protection, and is a good place to start. Repellents labelled ‘tropical strength’ usually contain greater than 20% DEET – they are useful when you spend longer periods exposed to mosquitoes or if you are heading to a region where dengue, malaria or Zika is problematic. Kids repellents usually contain picaridin or <10% DEET. Sometimes it can be tricky to work out the percentage of the active ingredient. You can see the Bushmans example below states this clearly, but the other bottles list the ingredient in grams per litre (g/L). No need for complex maths – just divide by 10 and you have the magic number! For example, the RID label below reports the product contains 160g/L of DEET. This would convert to 16% DEET – easy! How to Apply: No doubt we would all prefer if repellents didn’t feel quite so gross on our skin or didn’t smell so bad. Even I have to admit that before I moved into this field, I was guilty of putting just a dab here and a dab there. Unfortunately, this is flawed logic that will only result in you being bitten! Repellents must be applied correctly to be effective. That means reading the label and applying it evenly to all areas of exposed skin. Remember to reapply the product if you are exposed to mosquitoes for longer than the repellent protects you for. You’ll also have to reapply the repellent after sweaty activity or swimming. For more information on repellent use in adults and children, click here. Mosquitoes need water to breed, but only a very small amount. Water commonly collects in a range of things you may find in your backyard including pot plant drip trays, toys, old tyres, trailers and clogged up gutters. Mosquitoes also love breeding in pet water bowls, bird baths and pools if the water is not changed weekly or they are not well maintained. Rain water tanks can also be problematic so place some insect proof meshing over any outlets. When you’re holidaying, cover up or remove anything that may collect water. If you need more official info from WA Health about mosquito-borne disease or simple ways to prevent being bitten click here. And if you want to read more about how much West Aussies know (or don’t know) about mossies, check out Abbey’s excellent paper here! Joint the conversation too on Twitter by following Abbey and Cameron. Could a podcast stop mosquito bites? So, why am I going? I don’t even have a podcast! I may not have a podcast now but I hope to start playing around with the platform soon as a complement to my other efforts to spread the word on science communication and public health awareness. I’ve been thinking about kicking off a podcast for a while but have been a little reluctant due to time commitments. More importantly, I’ve also wanted to have a clear idea of what exactly I want to do. In a previous life, I co-hosted a radio show on FBI Radio (during their test broadcast days) with my wife called “Good Morning Gidget”. It was a Saturday morning show of surf music and interviews with professionals involved in a wide range of coastal-based activities, from marine biologists to surf shop owners. Despite the early start on a Saturday morning, it was a load of fun. I’d also worked behind the scenes producing a couple of music shows. If I had more time, I really would have liked to pursue more work with community radio. Perhaps podcasting will be the backup plan. It’s great to listen back to packaged interviews with radio, like the Health Report (I’m talking zika virus) but I was also lucky enough to have a chance to contribute to a few podcasts this year. 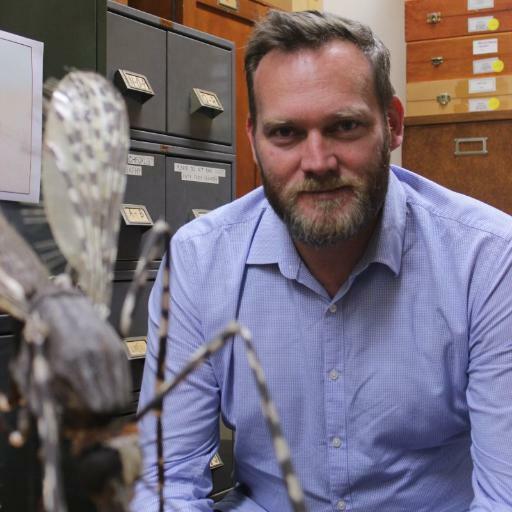 I spoke with Science On Top about the outbreak of Zika virus and the implications it has for Australia, Flash Forward on what will happen if we eradicate mosquitoes from the planet and ArthroPod on what its like to study mosquitoes for a living! All these were a lot of fun and were really motivating for me to want to get started with podcasting myself. I feel like my experience with sound recording and ongoing engagement with media provides a solid background in most of the technical skills I need to get started. I’m hoping I’ll leave the OzPod 2016 conference with a few more tips on story telling and structuring a podcast too. What I’ve been struggling with is format. I like the conversational nature of most podcasts but as I’ll probably be doing everything myself, perhaps a more structured and edited podcast is the go? There are very few podcasts I listen to that are built around a one-person show. I’m not sure I could pull it off. Does anyone really want to listen to me ramble on for 20 mins about mosquitoes? 40minutes? Sometime over the coming summer I hope to launch a short series of podcasts covering some of the basics of mosquito biology and how that relates to the ways we protect ourselves and our families from mosquito bites and mosquito-borne disease. I want to share my fascination with mosquitoes and explore some of the gaps in our understanding of mosquitoes, particularly their role in our local environment. Sound like a good idea? Join the conversation on Twitter and let me know what you think, would you listen to a podcast about Australian mosquitoes? Digital technology is changing a lot about how we undertake entomological research and communicate the results of that research to the community and policy makers. This week in Orlando, Florida, is the International Congress of Entomology (ICE). A huge gathering of entomologists from around the world. While it was a great pleasure to be invited to participate, I couldn’t get over there this time. I will, however, have a chance to present my work in the Symposium “Entomology in the Digital Age” Friday, September 30, 2016 (01:30 PM – 04:45 PM), Convention Centre Room W222 A. In the presentation I’ll share some of the reasoning behind my use of social media to engage the community with both entomological research and public health communication. Most importantly, it will focus on some of the metrics I’ve recorded alongside my use of social media, maintaining a blog of research and writing for outlets such as The Conversation. I’ve written about my use of social media and how it can help extend the reach of public health messages and presented on the topic alongside a range of great speakers at the 2014 Entomological Society of America meeting in Portland. This time around, technology is playing an even more direct role in my presentation! I’ve pre-recorded my presentation and it will be shown to the audience on the day among other presentations. I’ll also be checking into the session to answer questions. Despite the fact I’ll need to be up around 1:30am due to time differences, it should be fun. If you’re at ICE, you can also catch up with my PhD student David Lilly who’ll be presenting our research into the development of insecticide resistance in bed bugs as part of the symposium “New Insights into Biology, Resistance Mechanisms, and the Management of the Modern Bed Bug” Friday, September 30, 2016, 01:30 PM – 04:45 PM, Convention Center, West Hall F4 (WF4). You can join the conversation on Twitter and keep an eye on all the fun in Orlando by keeping an eye on the tweet stream! My PhD student Jayne Hanford has been super busy this year. Not much more than a year into her candidature and she has already locked away a summer of research and has been presenting her findings at conferences here in Australia as well as overseas. After recently sharing our research at the Society for Wetland Scientists Annual Conference held in Corpus Christi, Texas, USA and the Mosquito Control Association of Australia conference on the Gold Coast, Jayne is off to China for the 10th INTECOL International Wetlands Conference. Her research is focused on understanding the links between wetland vegetation, aquatic biodiversity and mosquito populations. Better understanding of these links will assist management strategies that minimise actual and potential pest and public health risks associated with mosquitoes and urban wetlands. Is the Biodiversity Value of Constructed Wetlands Linked to their Potential Mosquito-Related Public Health Risks? Stormwater treatment wetlands constructed in cities can enhance the sustainability of urban biodiversity by providing wildlife refuge areas and habitat connectivity. However, the creation of wetlands for stormwater infrastructure can increase risks to public health and wellbeing by proliferating nuisance-biting and pathogen-transmitting mosquitoes. In severe cases, this proliferation can erode goodwill in the community for creating and protecting valuable wetland systems. We compared mosquito assemblages at 24 natural and constructed urban wetlands in the greater Sydney region, Australia. Our aim was to determine if stormwater wetlands constructed with the goal to support high biodiversity value also had reduced associated mosquito risks. Wetlands were located across a gradient of urbanisation determined by surrounding human population density, and included sites with different aquatic and riparian habitat complexity and availability. Adult and larval mosquitoes and aquatic macroinvertebrates were sampled on two occasions through summer and autumn. Aquatic macroinvertebrates were used to derive health indices, as well as being a relative measure of aquatic diversity. Diversity of adult mosquito species was high, and abundance varied greatly between wetlands. Macroinvertebrate assemblages were also highly variable between sites. Wetlands with greater habitat complexity had lower adult mosquito abundance and greater mosquito species diversity, compared to stormwater-specific wetlands with minimal available habitat. As expected, mosquito assemblages did not respond to urbanisation and aquatic macroinvertebrate assemblages per se, but appeared to respond to a complex suite of coarse and fine-scale features that may affect a wetland’s biodiversity value. Effectively integrating wetlands into cities requires balancing their design for water infrastructure purposes, biodiversity resources and public health and wellbeing requirements. Understanding the risks as well as the benefits will enhance the value of constructed urban wetlands in sustainable cities while minimising public health risks posed by mosquitoes. Jayne will be speaking in the “The next generation of wetland science: ecosystems, applications, and engineering” session in the Nanhu Room 1520-1530 on Wednesday 21 September. The Society for Wetland Scientists Annual Conference held in Corpus Christi, Texas, USA back in May included a paper by Jayne titled “Risky Wetlands? Conflicts between biodiversity value and public health” and prompted some great feedback and discussion among wetland scientists at the meeting. It was a successful trip and a timely reminder that I must get to one of the SWS meetings sometime soon, perhaps Puerto Rico? Keep an eye out for Jayne’s research publications soon! The International Congress for Tropical Medicine and Malaria (ICTMM) kicks off in Brisbane, QLD, Australia this week running from 18 through 22 September. This is a big conference and wonderful for local researchers to be showcased to an audience of international scientists from our own backyard in QLD. I couldn’t make this meeting unfortunately but luckily my wonderful PhD student Andrea Lawrence will be presenting some of our flea research as part of the Australian Society of Parasitology conference that is incorporated into ICTMM this time around. Andrea has been doing some excellent research during her candidature and you can read some of it here [Evaluation of the bacterial microbiome of two flea species using different DNA isolation techniques provides insights into flea host ecology] and here [Integrated morphological and molecular identification of cat fleas (Ctenocephalides felis) and dog fleas (Ctenocephalides canis) vectoring Rickettsia felis in central Europe]. This week she will be sharing her research into the genetics of global cat flea populations. You can catch Andrea on Tuesday 20 September in the Zoonoses session in M4, 13:00-15:00. One thousand fleas from fifty countries: global genetic structure and morphometrics of the common cat flea (genus Ctenocephalides) reveals phylogeographic patterns and resolves the generic complex. The common cat flea and its relatives (genus Ctenocephalides) are considered the most successful ectoparasites on earth. The widespread parasitisation of these insects on mammals closely associated with humans (e.g. dogs and cats) represents significant potential for vector borne disease transmission. Fleas of the genus Ctenocephalides represent a unique model to study the effects of modern human migration and geographic and climatic barriers on parasite diversity and diversification. We have amassed a world-wide collection of Ctenocephalides over a period of 7 years, and analysed over 1000 flea samples from ca. 50 countries representing all continents bar Antarctica. Novel integration of morphology, morphometrics and molecular identification and phylogenetics using a combination of four mitochondrial and nuclear DNA markers, reveals phylogeographic patterns and evolutionary relationships of global cat flea populations. These techniques provide resolution of the long disputed Ctenocephalides generic complex, which has not yet been definitively resolved despite its significance in veterinary and public health. Understanding of contemporary population structure inferred from global phylogeographic analysis has implications for parasite and flea-borne disease management. It is hoped that this work will form the authoritative estimation of the origin of the genus Ctenocephalides and the subsequent species evolution and migratory radiation. Keep an eye on the official conference hashtag [#ICTMM2016] and why not follow Andrea on Twitter for more! For a few months now I’ve been thinking through some future options for the blog and my science communications activities. I’ve been toying around with starting a podcast or video blog about my work in local wetlands. #MosquitoWeek has just happened in the U.S. and as it coincided with the close of entries with the Entomological Society of America YouTube competition, I thought what better time to play around with putting together a video. A year or so ago I had the chance to see Karen McKee (aka The Scientist Videographer) talk about social media and the ways she uses video as a critical component of her community engagement and communications. Since I’m already using Instagram to connect followers with my various wetland sites and mosquito studies (as well as other things), I’ve thought video could be a way to go. Interesting too since images and video are (or are soon to be) increasingly dominant in social media. I’m an advocate for mosquito control to be part of overall wetland management. I think I’m sometimes seen as the enemy of wetland and wildlife conservation, not surprising given the perception of mosquito control still influenced by the DDT debate. As we push for the construction and rehabilitation of urban wetlands, the pest and public health risks associated with mosquito populations do need to be considered by local authorities. I’m often arguing that ecologically sustainable mosquito management is actually critical to wetland conservation. If you’re encouraging the community to visit your wetlands, what happens when they’re chased away by mosquitoes? What about the community living around the wetland? Will nuisance-biting erode the good will of the community for wetland conservation? Should we start pulling out mangroves to save our wetlands? Does wetland rehabilitation need mosquito control? Can social media help track environmental change? Let me know if you’d be interested in seeing more videos! Send me a tweet.